This models features 16.2 megapixel camera along with 5x zoom lens that is stabilized and CMOS sensor. 1080i60 movies can be captured by TX55. It is the first Cybershot camera with a slot for Memory Stick Micro M2 along with SDHC/MicroSD flash memory cards. The data can be stored on the SDHC.MicroSD and also on memory stick. This 16.2 megapixel camera sports a CMOS sensor for delivering image detail, ultra low picture noise in still images and full HD video in low light conditions. When using HD videos Optical SteadyShot Active Mode can be activated to reduce shake. This camera is packed with numerous features. It is equipped with 3.3 inch capacitive OLED touch screen and the standard Sony features like 3D Sweep Panorama. With this feature one can take breathtaking landscapes. One can also take two consecutive photos and they can be combined to view in 3D on the TVs that are compatible. There is also a new technology, “By Pixel Super Resolution” digital zoom mode with which image processing is applied to enhance the image back up to full pixel count. 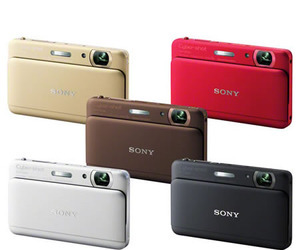 It extends the 5x optical zoom range to maximum 10x zoom without losing any image quality. It can capture still photos simultaneously while shooting 1080i videos as well. This is a Cybershot camera offering “Picture Effect” mode with which picture effects can be applied and there is no need for any editing software. Some of the Picture Effect options are rich-tone monochrome, miniature, partial color, pop color, soft-high key, HDR painting, toy camera, etc. It also has a “Superior Auto Mode” for movie shooting and even stills. There is “Sweep Multi Angle mode” in which 15 images can be taken at different angles. The images can be displayed in a 3D like view with the help of motion detected by Gyro sensor. A “Soft Skin mode” is also sported that can recognize the skin tones and wrinkles and blemishes can be reduced. Some of the other features are face detection technology, motion detection and anti-blink function. 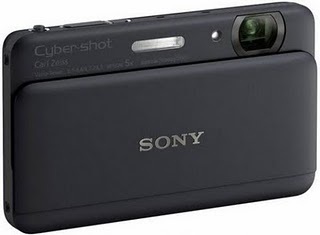 Sony Cybershot DSC-TX55 is compatible with MAC and PC. 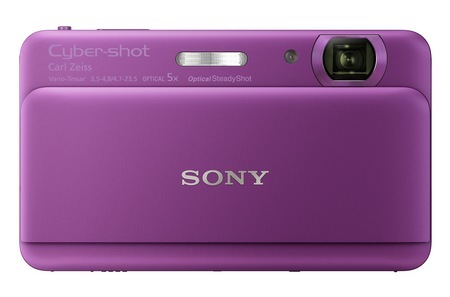 The Sony Cybershot DSC-TX55 will be available from September 2011 at the Sony stores and through authorized Sony dealers. It will retail at around $350. The model is available in three colors- purple, silver and black.